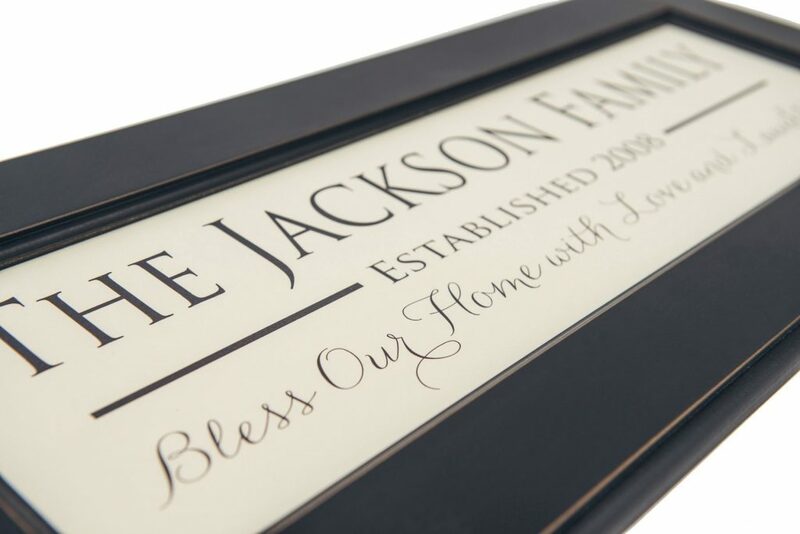 This personalized family established sign has a beautiful and unique style. 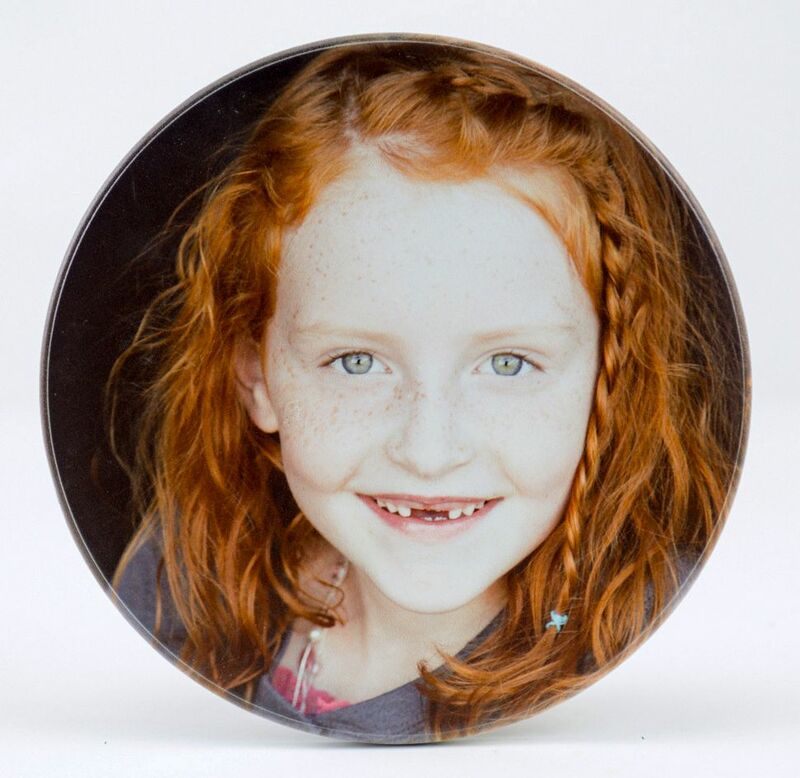 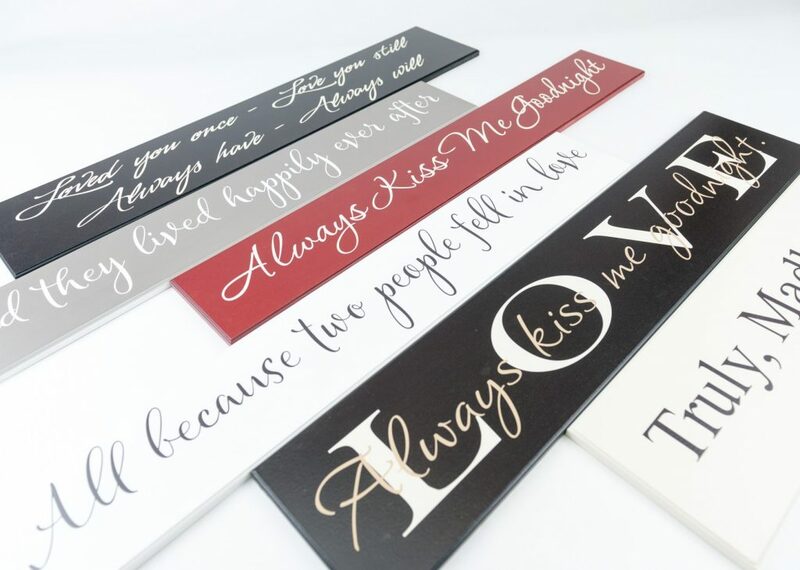 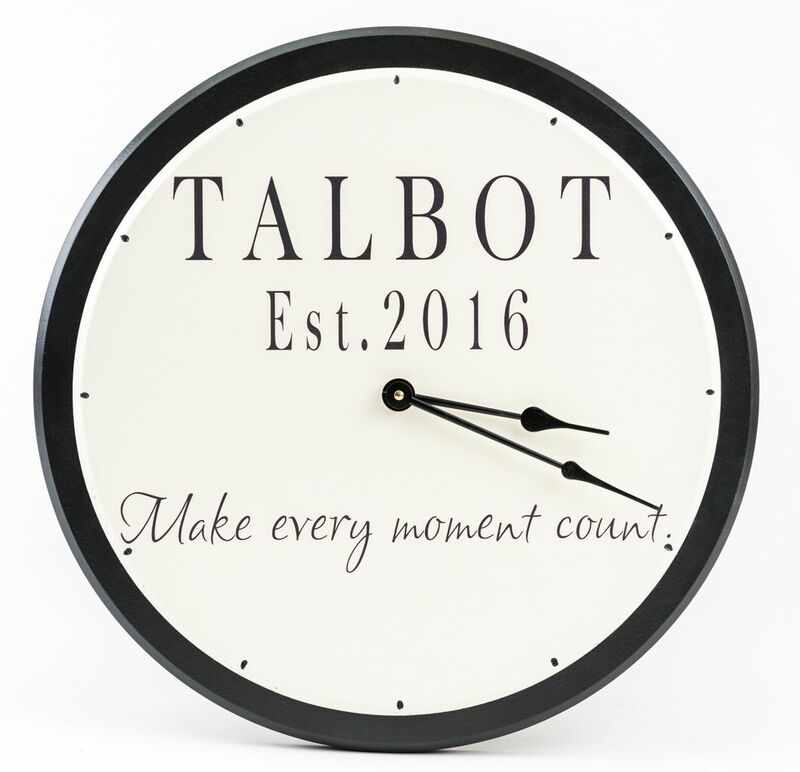 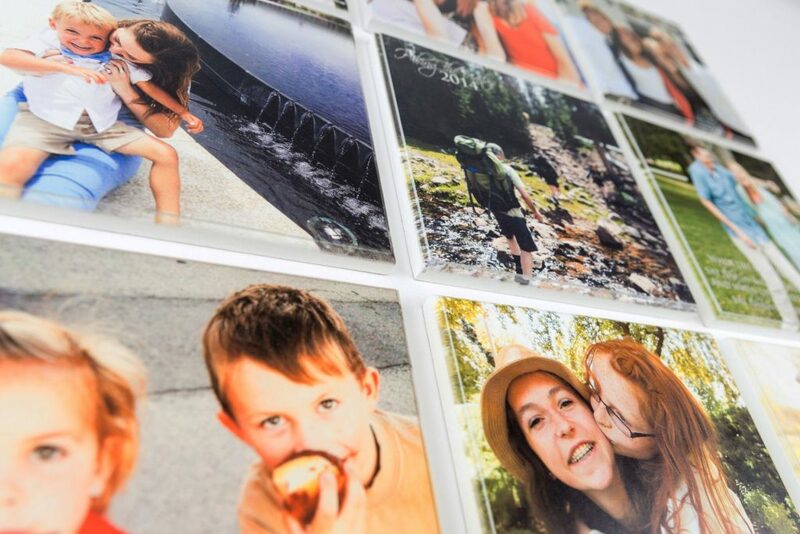 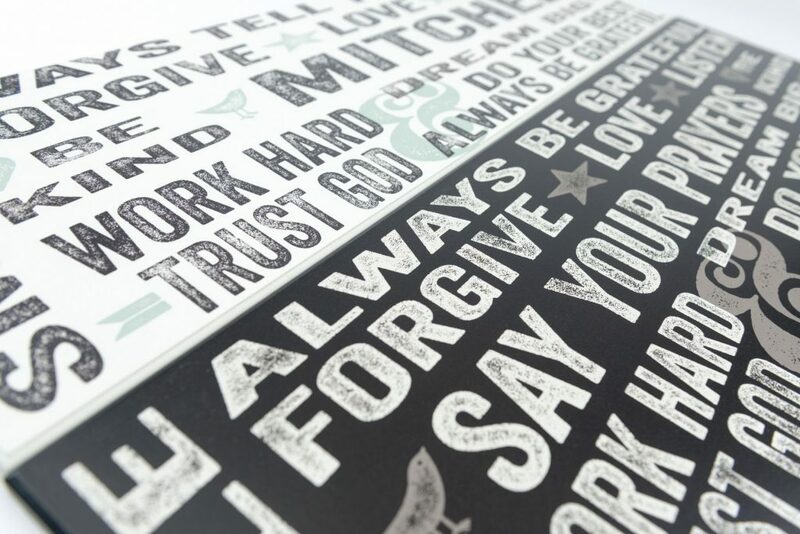 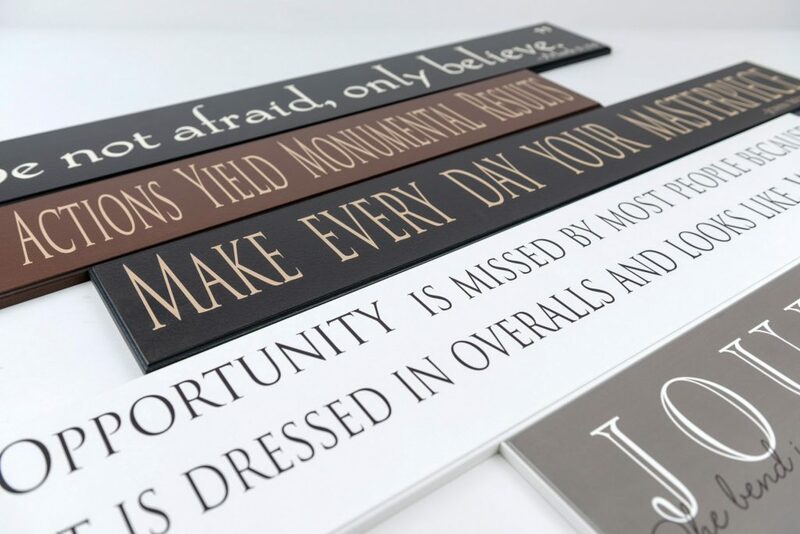 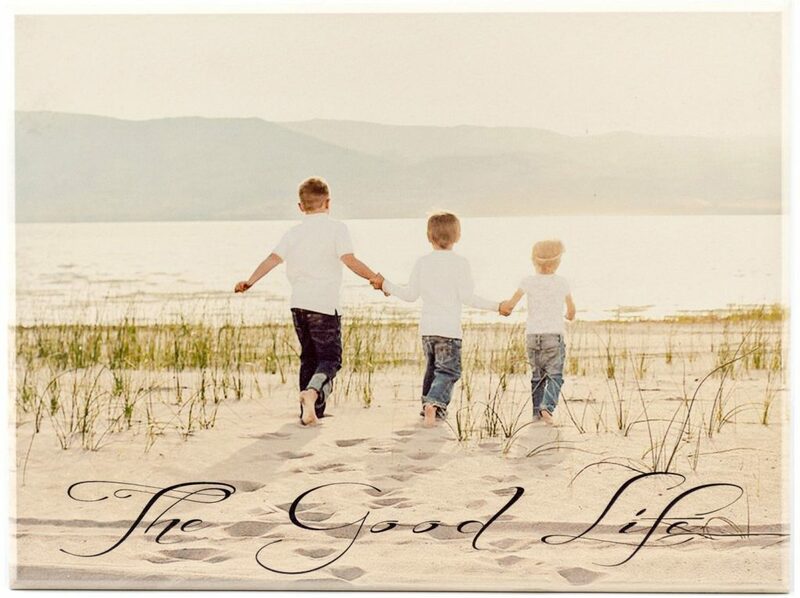 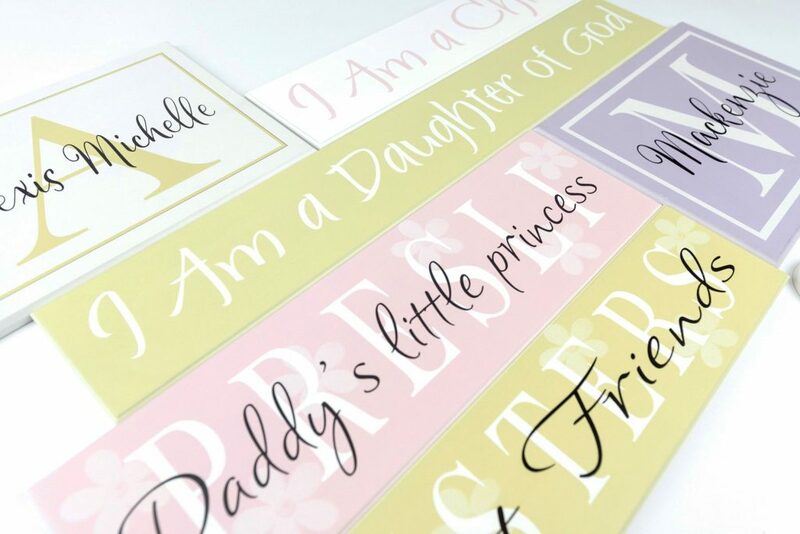 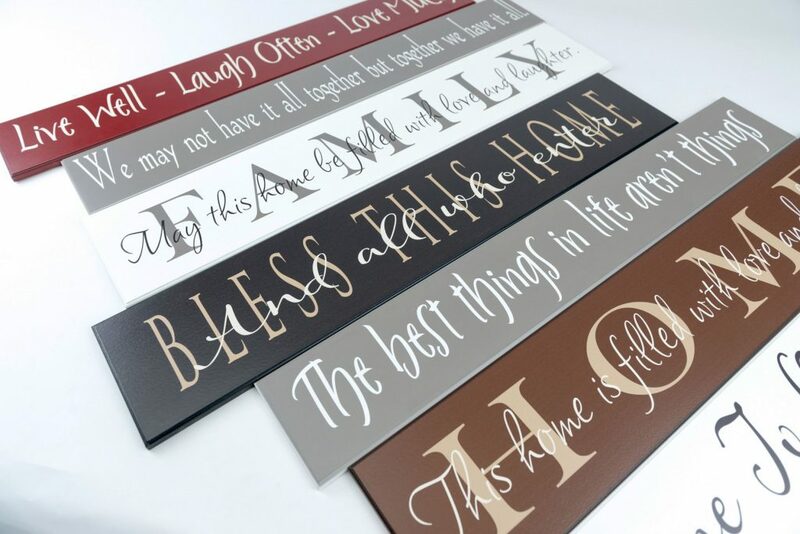 It features the personalized family name in the color of your choice and then an inspirational saying or family names through the middle of the sign. 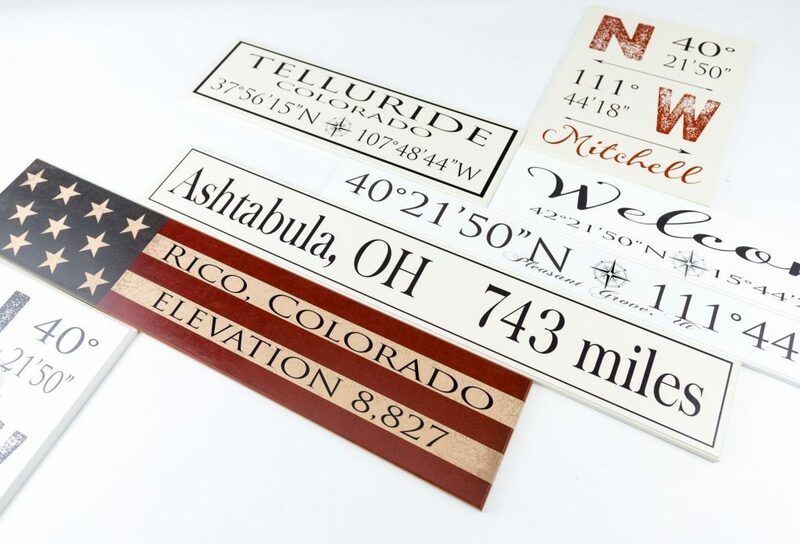 Wood sign measures 5.5”x24” and you can choose from our many color options. 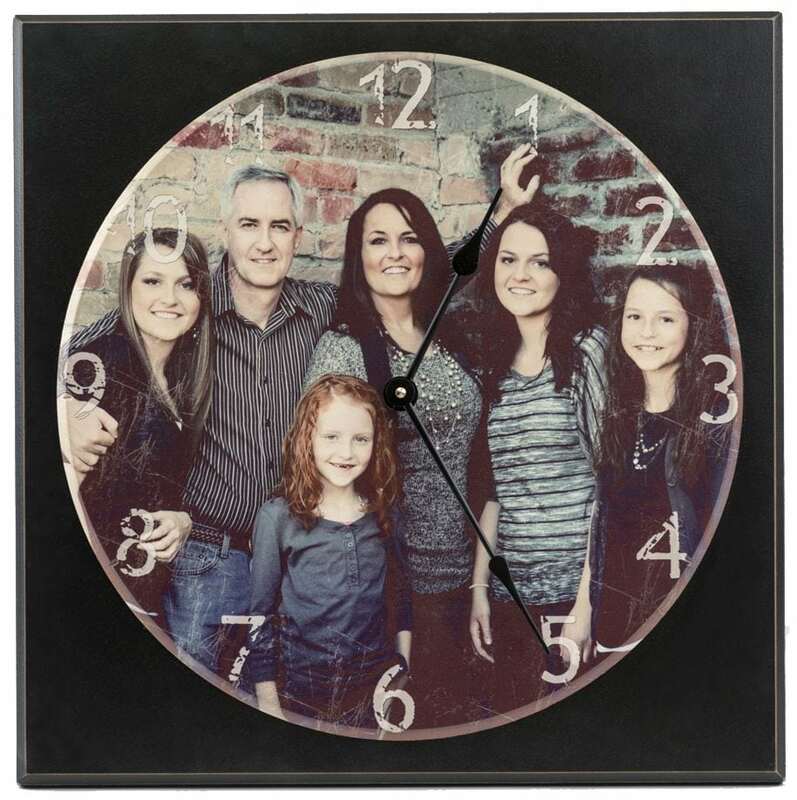 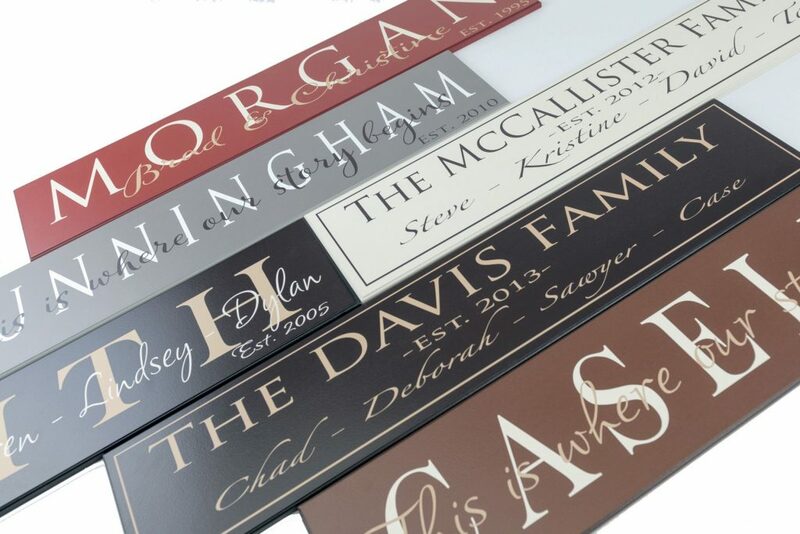 This personalized family established sign features the family last name, the family established date, and the family members first names. 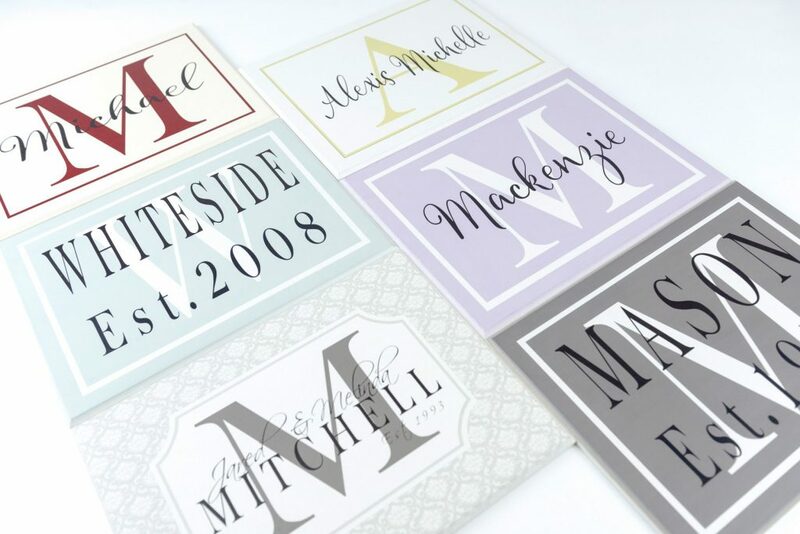 This is a great new style that is visually appealing and allows you to really personalize your home decor. 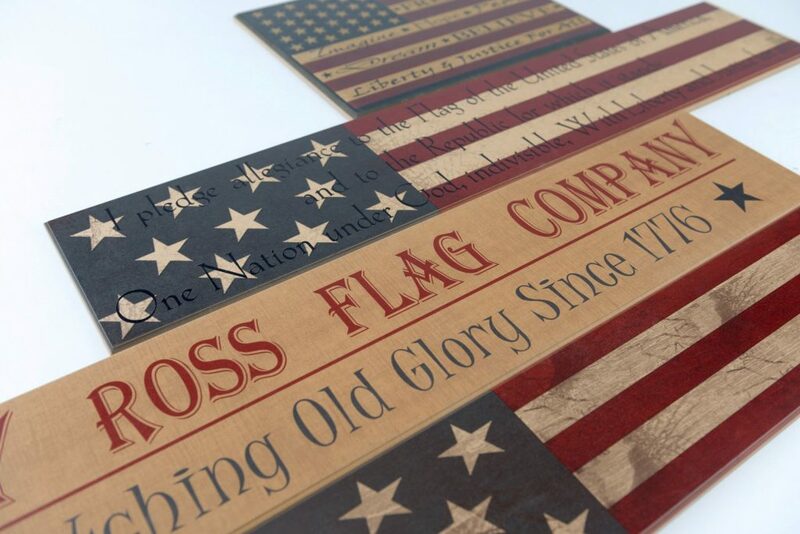 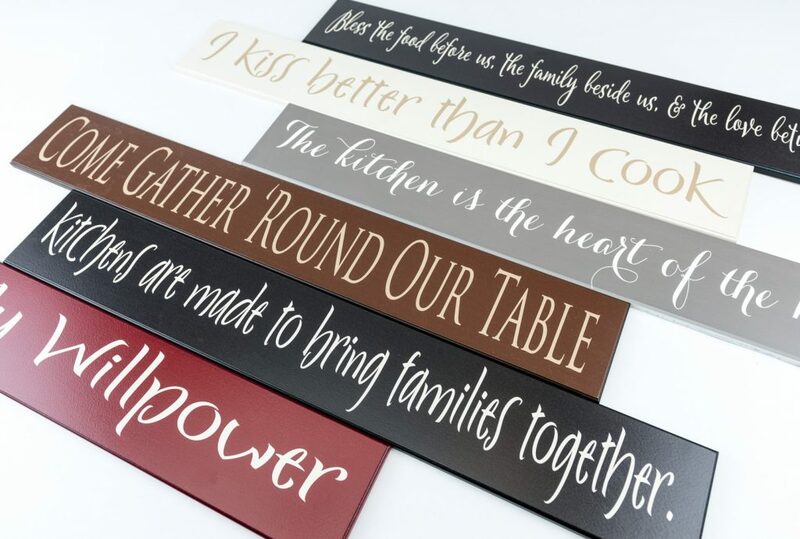 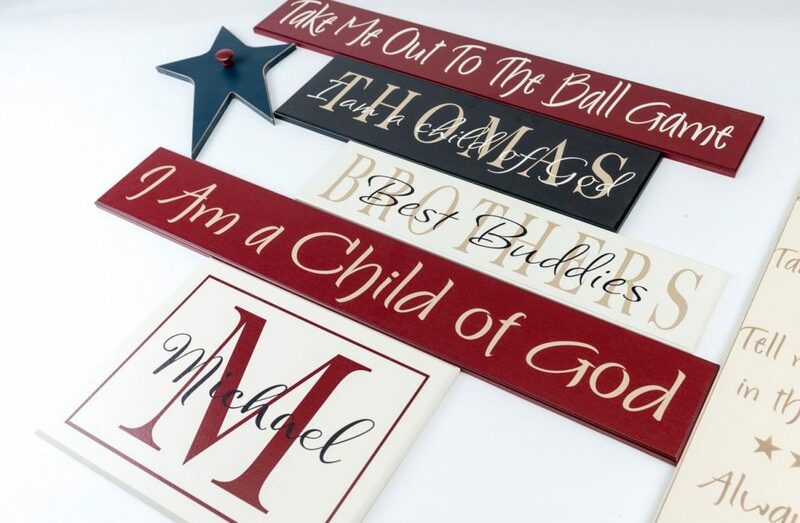 Family established signs from American Woodcrafts make great anniversary gifts, wedding gifts, and Christmas gifts. 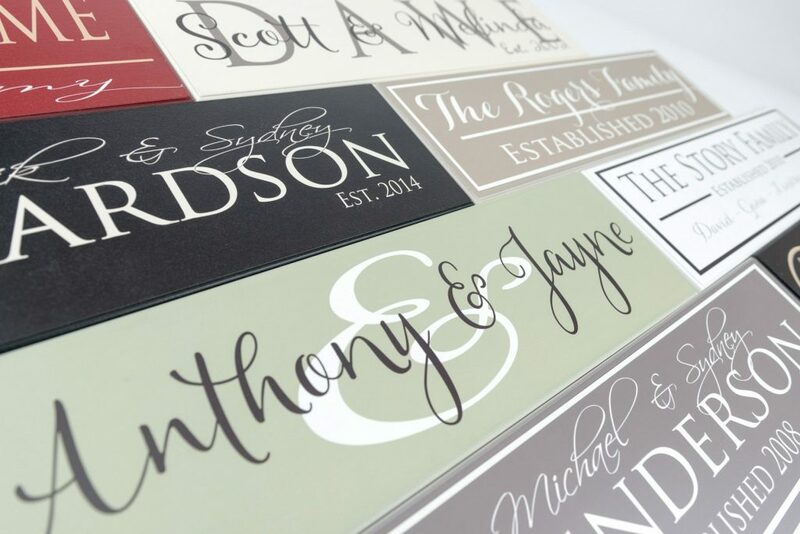 We create heirloom quality signs that you can expect to last a lifetime. 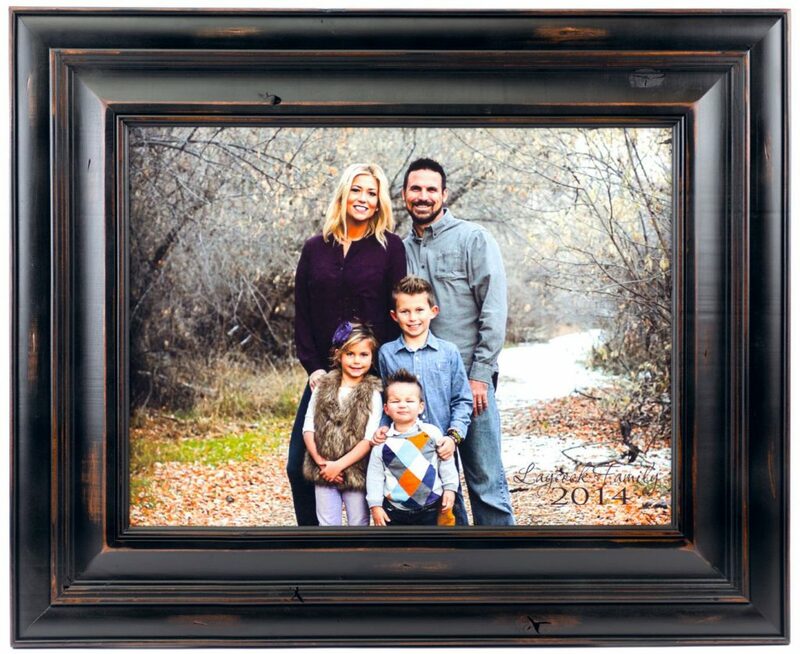 This wood sign measures 5.5”x24” and comes ready to hang with a keyhole in the back.